I can eat vats of traditional candy corn--it's one of those true comfort foods. Though a bit wary of flavor varieties on the classic, I'm open to innovation. With Chocolate Mint Cookie Candy Corn, Brach's gets it half right. The mint is delicious. 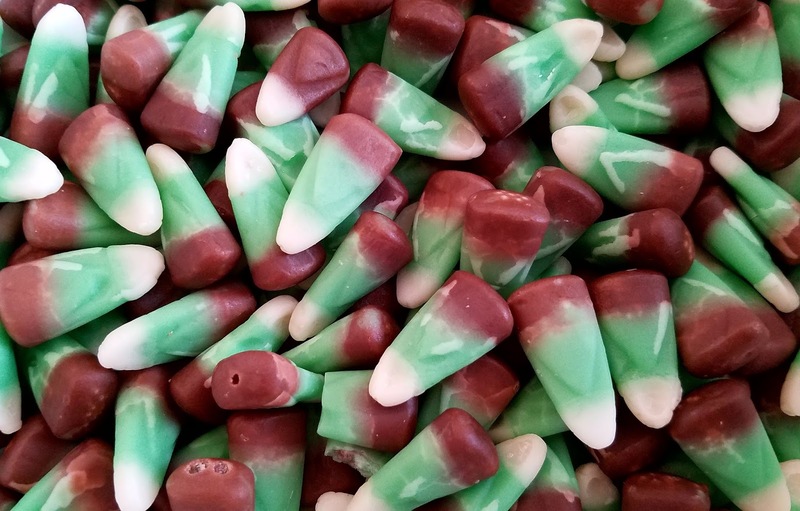 Why is there not mellow mint candy corn on the market? 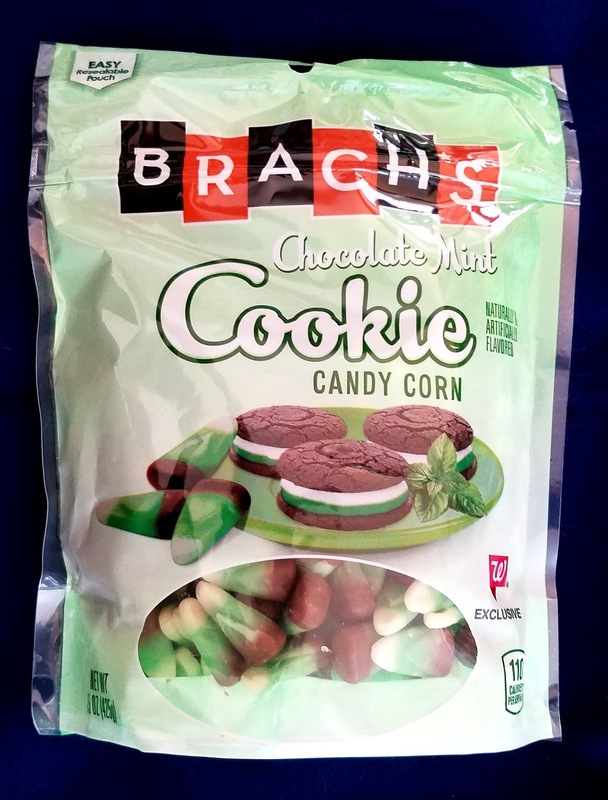 Why can't Brach's realize that there's something really good going on here? Disappointingly, the chocolate layer of candy corn is totally unappealing. It is barely reminiscent of chocolate, a bit like a tootsie roll went really stale. Overall, I would not recommend these. However, I would highly recommend the invention of mellow mint candy corn.